Sept. 13-19 is Child Passenger Safety Week, an entire week dedicated to raising awareness about the safety of children when they are riding in the car. According to Glendale police, every 34 seconds a child is involved in a vehicle crash. In 2012, more than 121,000 children under the age of 13 were injured as passengers in automotive accidents. Glendale police will be out in full force this week checking for drivers speeding in school zones as well as making sure children are strapped in the proper car seats and that the seats are properly installed. Three out of four car seats are not installed properly. Furthermore, it is very important that parents and caregivers register their childs car seat in case a product is ever recalled. If the seat is not registered, the consumer will not be notified of a potentially dangerous defect. In 2014, more than six million car seat models were recalled for a safety defect. However, according to the National Highway Traffic Safety Administration, less than half of the recalled seats were repaired. During National Child Passenger Safety Week, certified child passenger safety technicians across the country will be showing caregivers how to properly use, install and register their car seats. Safe Kids, an organization dedicated to the safety of children, will also be hosting child seat inspections. In Arizona, events are being held on Friday, Sept. 18 and Saturday, Sept. 19 at AAA offices, Couunty Health Departments and even Target in Tucson, Arizona. 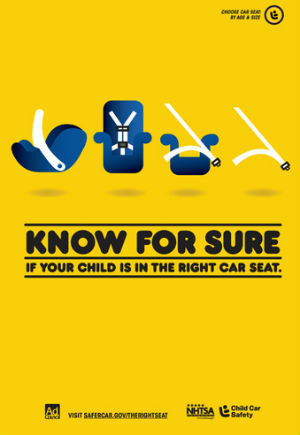 To find an event near you, visit www.safercar.gov/parents. At Phillips Law Group, we believe the safety of children is of the utmost importance. Car seats, booster seats and other child safety restraints can save lives. If your child has been injured in a car wreck caused by a careless driver, contact our law firm for a free case evaluation. The personal injury lawyers Phoenix, AZ at Phillips Law Group can help fight for the justice you and your family deserve. Call or text 1-800-706-3000 or fill out an online contact form.